Remember the first time you saw Ghostbusters? If you’re like us you were about 5 or 6 and you were riveted to the screen right from the opening credits. You could not wait for them to catch a ghost. 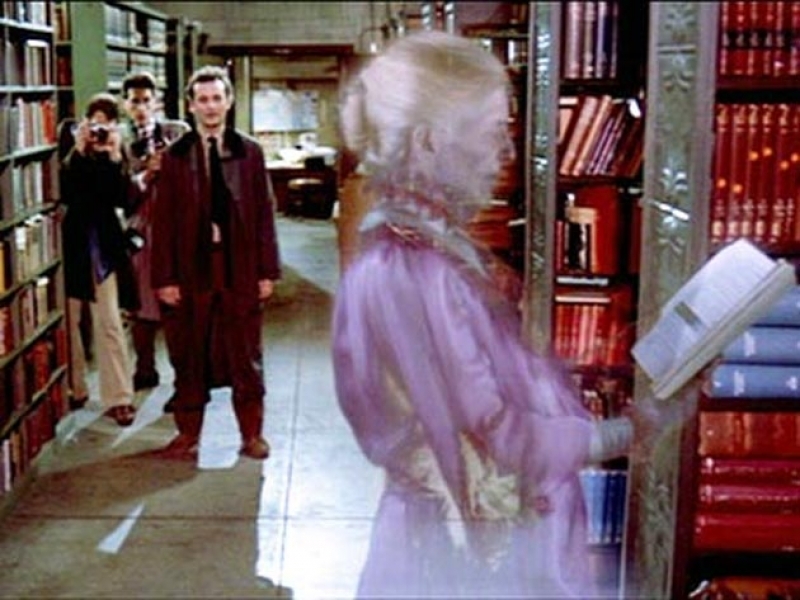 And the first legitimate ghost hunt they went on in that movie was at the main branch of the New York Public Library. Little five year old Chop was standing on the couch at that point, action figures in hand and yelling “I ain’t afraid of no ghost.” And when they made their way down into the depths of the basement and all those stacks where nobody ever gets to go- where the whole of human wisdom is collected and gathering dust, we just kept thinking: Damn that’s cool. You never know what you might find in the sealed off parts of a library. Ever since then we’ve been waiting for our chance to poke around in the cavernous recesses of a giant municipal library. Tonight, that chance has arrived. The Pratt’s Central Branch is hosting a happy hour and tour this evening from 6-8 pm. We’ve always been of the opinion that pound-for-pound, Baltimore stacks up quite favorably to NYC. That’s true of central library branches as well. There are hours upon hours of exploration at the Cathedral Street branch as just an ordinary visitor. Tonight’s tour will be guided by the people who know the Pratt best- its librarians, and represents a chance for a rare behind-the-scenes look at some of the most interesting and historic materials in their collection. Plus, there’s FREE BEER. They don’t call it happy hour for nothing, and beer and wine will be made available to visitors during the tour. Perhaps as rare as some of the materials on view is the chance to talk in a library, and there will be some of that too. A great chance to mix and mingle with fellow readers, tonight’s event is courtesy of the Pratt Contemporaries. Not your grandma’s library boosters, the Pratt Contemps are the same group of book lovers who’ve brought you events like the Black and White Ball and Brunch with Ira Glass. You can even follow them on Twitter. Of course, if you want to take it a step further you can join for yourself, too.